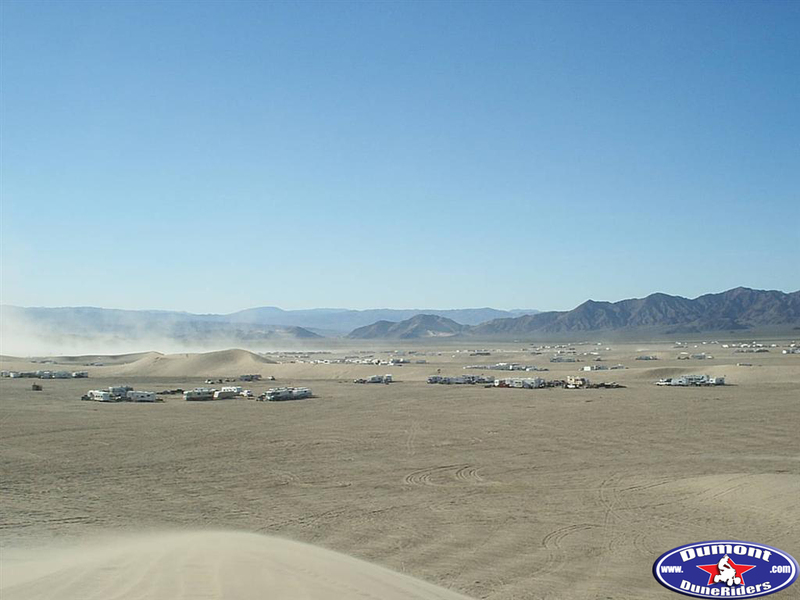 The main camping area consists of a huge flat area. The sand can get pretty soft the closer to the dunes you get so be careful not to get stuck. 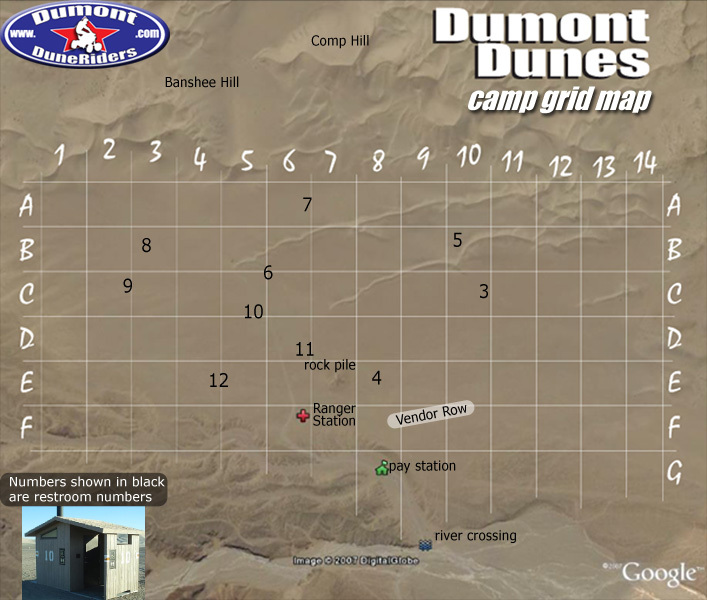 There are no facilities at Dumont other than pit toilet restrooms and there is no running water. You must bring everything you need for your trip. The closest store, motels, gas stations, etc are in either Baker, Ca (approx 30 miles) or Pahrump, NV (which is approx 50 miles). There are no dumpsters at Dumont. The motto is "Pack it in, Pack it out!" There are no campsites to reserve, no water or sewer hookups, dump stations, etc. at Dumont Dunes. 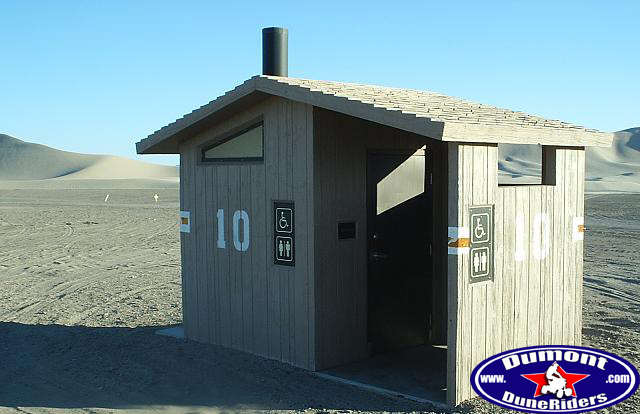 The closest dump stations are in Tecopa and Baker. Even if it's not yours, please haul away any trash left behind by others and make sure trash bags are secure in the beds of pickups. 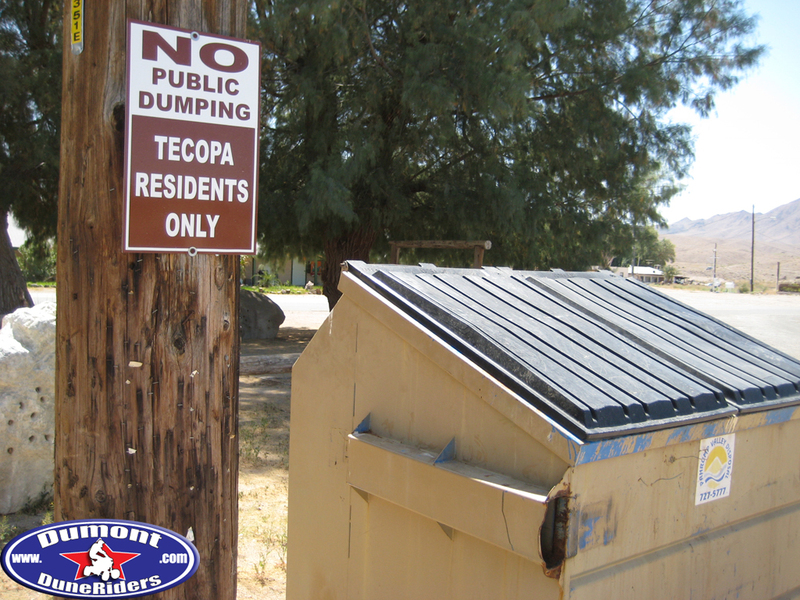 Please note: Do NOT use the dumpsters to dispose of your trash in the nearby town of Tecopa. Those dumpsters can get filled very quickly and are strictly for Tecopa residents ONLY.